In the course of writing trailers and scoring and mixing movies, I use a tremendous amount of sound design material. Sound design is a vague term that can mean any number of things, but I’ve adopted it to mean sounds that might be used in a mix or a score that aren’t actual playable instruments. I’ve just finished working on Q, a new Vir2 library that contains both instruments and sound design elements specifically designed for TV, movie, commercial, game, and other visual media usage. Q contains a large assortment of interesting elements, from drums and percussion to drones to sound effects. In a world…in a land…coming to studios near you: Vir2 Instruments’ Q, a massive sound design and scoring instruments library designed for the unique needs of television, film, game, and media composers and music producers who want to add a fresh and previously unheard dimension to their sonic palette. 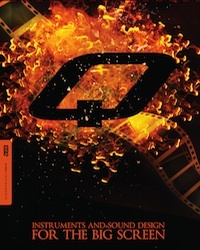 Q (as in, cue, or, if you prefer, as in the master spy’s gadget man), contains almost two thousand patches and 16GB of sample material including cinematically thunderous drums, percussion, winds, vocals, ethnic instruments, metallic textures, glass, guitar, toy, ambient atmospheres, synth landscapes, and trailer-ready effects. 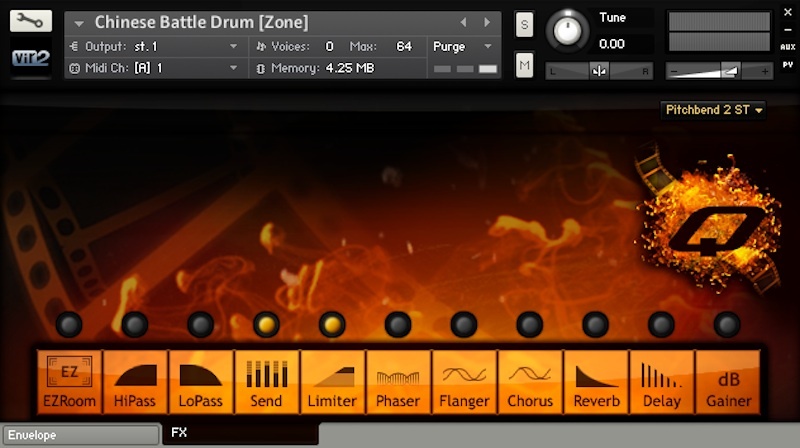 The library includes both playable melodic pitched instruments and multisampled one-shot percussion and effects. A large collection of epic percussion loops which automatically sync to tempo and are playable both whole and by the slice, are also included. Q’s easy-to-use interface provides one-click effecting of the library, including the famed EZRoom convolution, delay, chorus, filters, chorusing, flanging, and more. Other advanced functions include a special legato mode for melodic instruments, and crossfade controls for multilayered instruments. While everything in Q is mapped in Kontakt format ready to play from a MIDI controller, as a bonus many of Q’s one-shot effects (such as booms, whooshes, metal scrapes and hits, and special sound effects) are also available on the disc in open 24-bit WAV format, allowing instant drag-and-drop into a film mix.